This is my first post in English on this blog. I will try to publish a monthly press release about news in the infotainment industry. As you can imagine, this industry is international and most of the articles are published in English, so it would be a non-sense to do it in French. This first press release is a test. My goal is to list the more important news about infotainment during the month and for some of them to give a small personal comment. Maybe the form will change in the future. Parrot updates the software of its android based car radio named asteroid (FR). A Video is also available (FR). Kia integrates the Samsung Galaxy 10.1 into its new car: the K9 (EN). Well the integration seems to be pretty limited. Main goal is to provide a vehicle manual to the K9 owner about the car features. Honda wants to prevent, in real time, the accordion effect during the traffic jams (EN). Good idea, but as described in the article, a precise system requires that cars are able to communicate together. 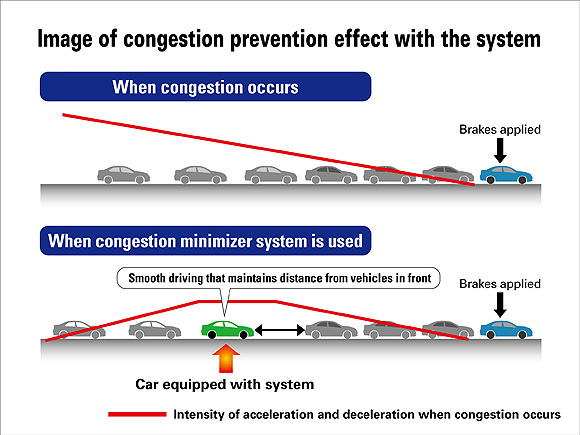 If only few car have this system, the effect will be very low. Should Automakers build their own App Stores? (EN) In my opinion the question of the App Stores is too limited. Behind that, there is the problem of providing a long-term viable and sustainable platform for third party applications. Automakers has two major issues with external applications, how to control their content and how to attract talented people for writing apps for its system, so they can earn money. The cost of connectivity is not an unsolvable problem, today a lot of people have unlimited data connection with their mobile phone. The mobile phone can be the gateway to the internet, just by connecting the phone to the car using tethering USB, Wifi or Bluetooth DUN profile. Should Automakers Build App Stores? Samsung Galaxy SIII will have integrated MirrorLink service. That’s maybe the News of the month. A real step from the mobile phone company to provides its user experience into our cars. Bridging the chasm between HTML5 and the hardware with PPS messaging (EN). 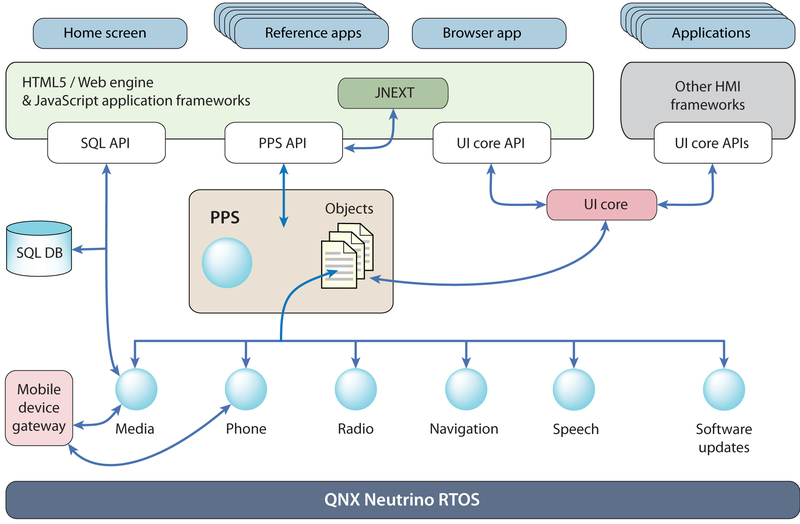 Excellent article about a new way of communication between HMI and low-level application designed by QNX. Its name is PPS (Persistent Publish Subscribe). Balumpa is the first application for the Renault R-Link Android Based IVI system (FR). A Video is also available (FR).